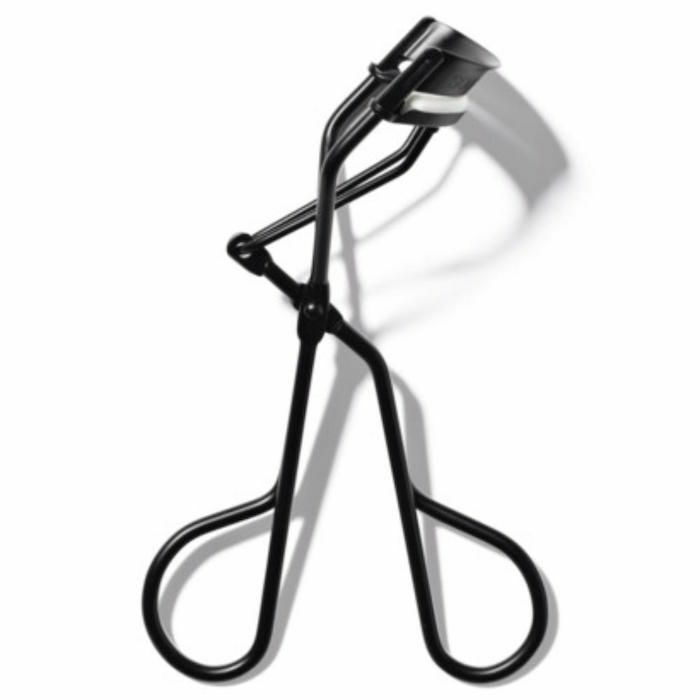 My beauty routine completely changed the day I found an effective eyelash curler. After a few seconds of pressing my lashes between its springs, I looked more awake instantly. My dark circles appeared less intense, and my under-eye bags looked less puffy. All of a sudden, I didn't feel panicky at the thought of going without mascara. I'm not the only one who recognizes the power of a lash curler. Take it from Honey Artists makeup artist Daniela Gozlan, "I don't consider a look finished without the use of an eyelash curler," she says. "It makes the eyes appear more open and lifted. If I can't find one, I'll use a teaspoon; that's how necessary I think it is." Honey Artists makeup artist Robert Greene agrees. "Curling your lashes can be one of the simplest and most dramatic ways to explore your eye shape," he says. 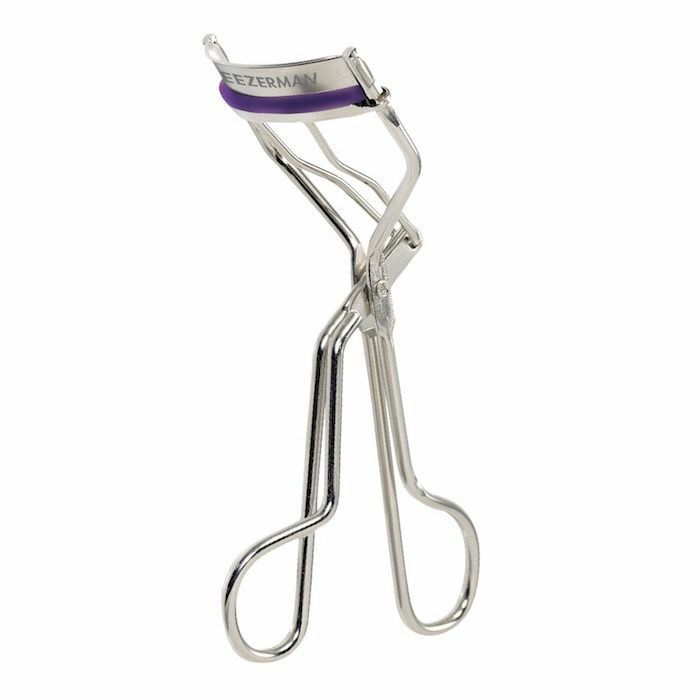 Keep scrolling to see the best drugstore eyelash curlers on the market, according to the pros. 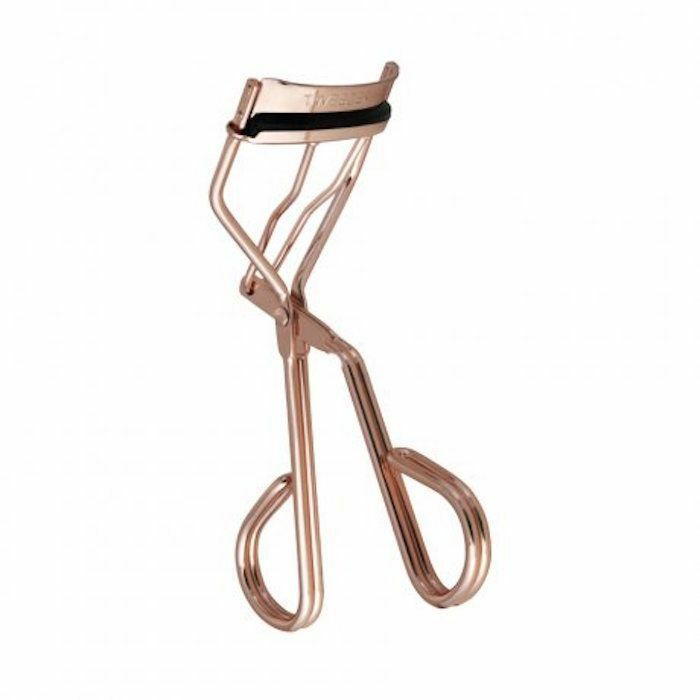 According to Gozlan, this rose gold curler "reaches every last lash" and "creates an intense curl." Plus, it comes with three replacement pads, so it will basically last forever. Her fellow Honey Artists makeup artist Azra Red agrees, "I love how it's curled, so it helps reach all the lashes from one side to the other with a great grip." Gozlan likes this cult classic drugstore curler because it's "easy to use," and it "won't pinch the outer lashes." Plus, the packable design makes it a perfect travel companion for all your summer getaways. 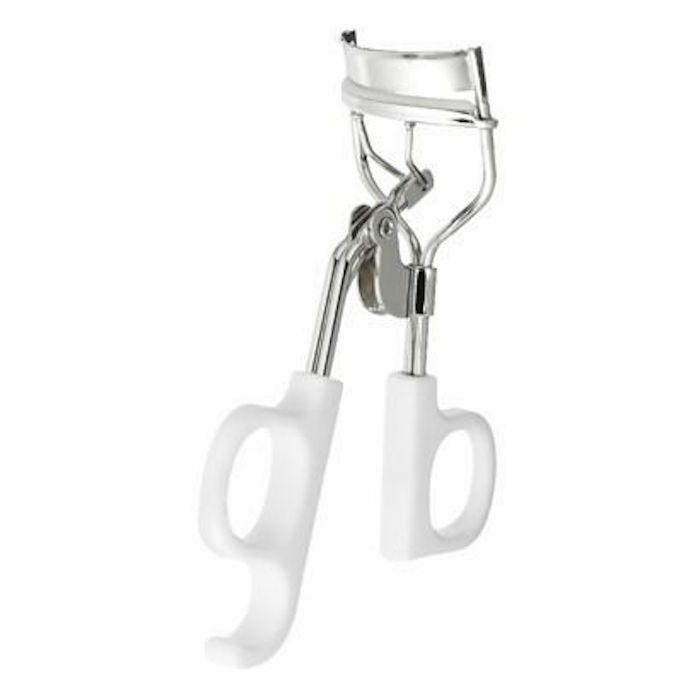 To find your eyelash curler soulmate, Gozlan recommends partaking in a little trial and error. "You must experiment with the designs available to determine which one is the best fit for your eyes," she says. "It should have the perfect amount of pressure on all eyelashes, the perfect curvature and length for your eyes, and it has to feel comfortable and must give control and stability while curling." 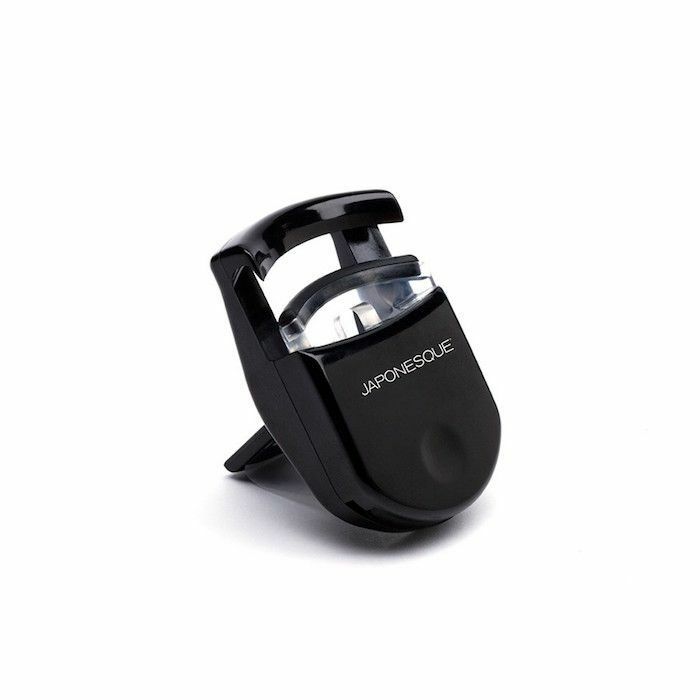 If trial and error isn't your thing, reach for this Sonia Kashuk curler, which Gozlan calls a must-have because "it has the perfect curvature—suitable for all eyes." "I really love a lightweight curler, something that's thin and easy to hold," says Greene. "For this reason, I like [this option]. 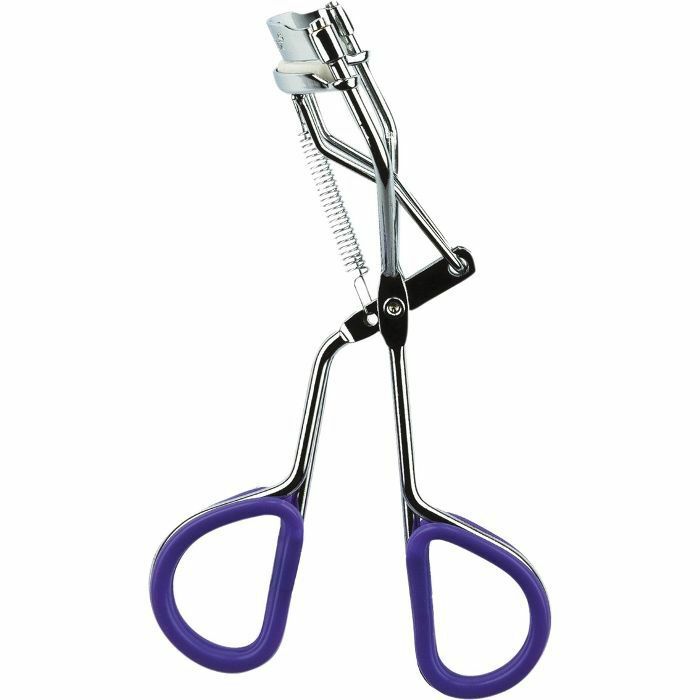 It seems to be the most universal for different eye shapes and overall does a great job obtaining a firm curl." If you have stubborn, stick-straight lashes, this $3 product from NYC is for you. "This is the most inexpensive curler that moves almost 90 degrees up and down when clamping, providing a tight curl, helping you get close to the root of the lash line," Greene says. If your lashes need extra motivation to curl, try heating it up your curler with a blow-dryer. It's an old makeup artist trick that Greene swears by. "Heat your curler with a hair dryer on warm for about 10 seconds if you have one nearby. This not only warms the metal so it's not so cold on the eye, but it also warms the rubber grip on the curler, helping us get a quick and effective curl." Makeup Artist Brittany Spyksma likes this budget-friendly pick because it "has a little different curve, which is good if you've got a wider eye shape." The cushioned handle is also an extra luxurious touch. As for the actual curling process, Spyksma recommends curling the lashes in two different places. "First get close to the lash line to get a lot of lift, and then, for the second round, move out a little closer to the middle of the lashes to give them more curl," she says. Next up, read one editor's experience with giving up mascara for an entire month.